Powley's Hill stands to the left of the picture with Selside Pike on the horizon behind it. Just to the right of Seliside Pike the northern flanks of Harter Fell appear. To the right of that, in the middle distance lies Hare Shaw. 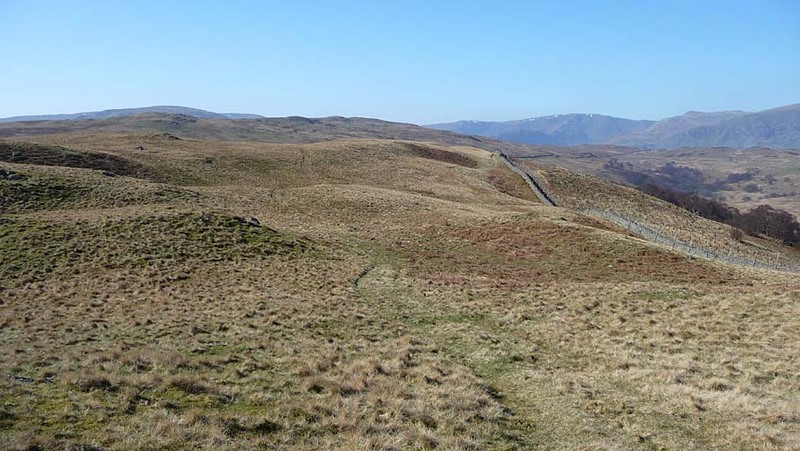 Then on the horizon stand Mardale Ill Bell, High Street, Kidsty Pike, Rampsgill Head and the Whelter Crags of Low Raise. Smaller version of this picture.